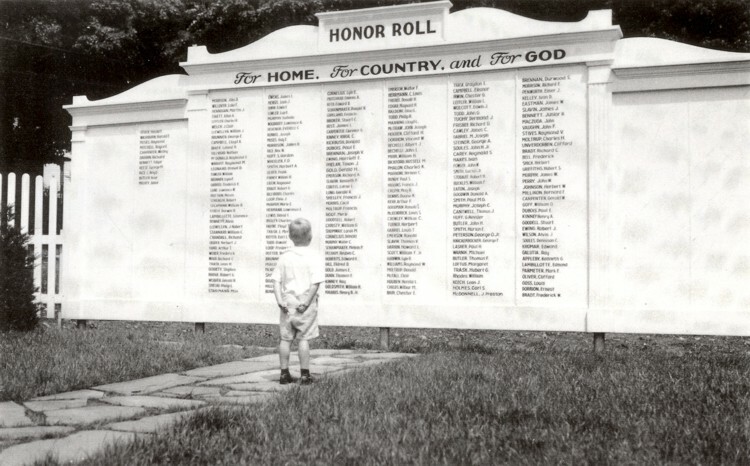 Eldred dedicated its Memorial Honor Roll containing the names of 230 men and women from Eldred and Eldred Township, Sunday at noon, July 4, 1943. 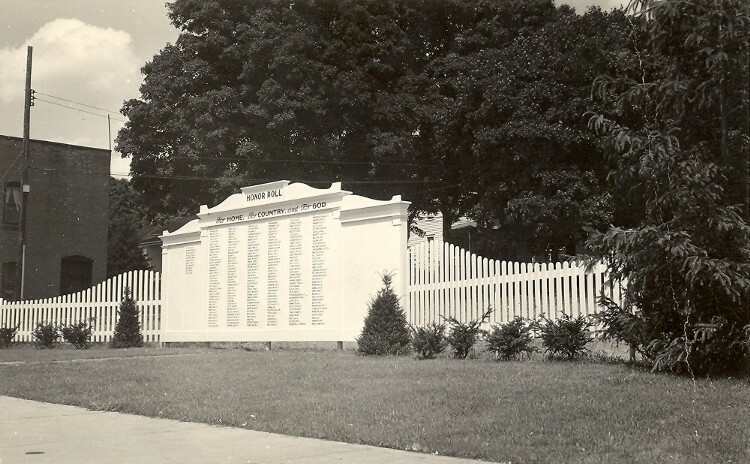 The postponement of the ceremony from Memorial Day when rain interferred, had given the committee in charge opportunity to redesign the structure and to landscape the plot at Main and King streets on which it stood. Charles Hubbard, presiding judge of McKean County, delivered the oration of the day. Presentation of the memorial was by Earl McLaughlin, chairman of the Rotary committee in charge. 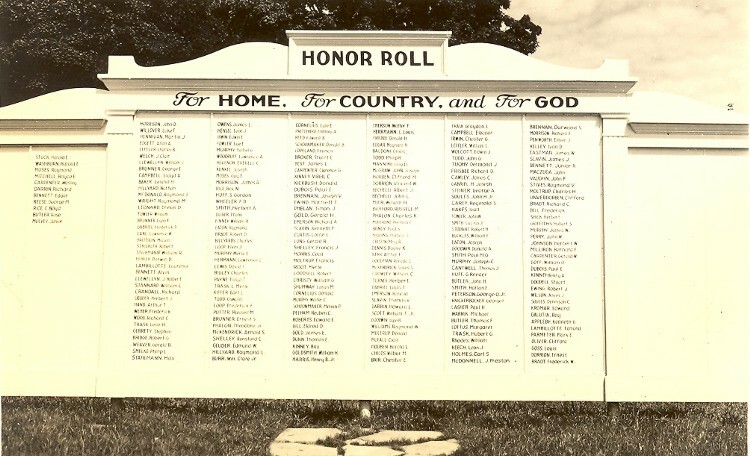 Acceptance for the community was by burgess Clifford Shields. the program included music by the Eldred High School Band, led by Miss Mildamary MacInroy, instructor in the local schools, and was concluded with "The Star Spangled Banner" in chorus. 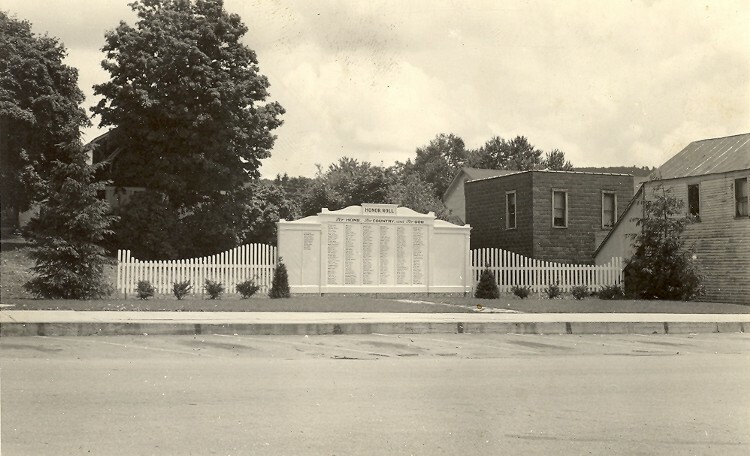 The number of names grew as the war progressed and the memorial was discarded in the 1950's to build a new grocery store on the current location.